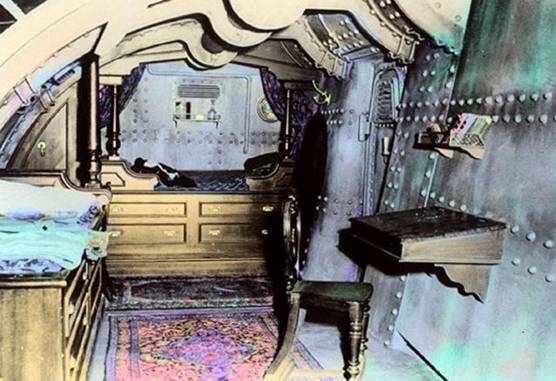 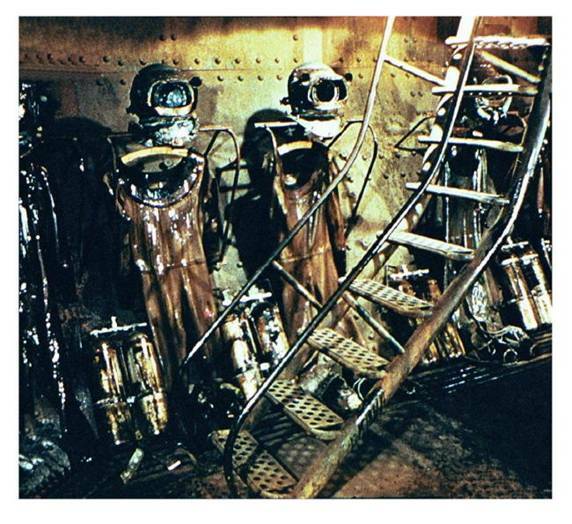 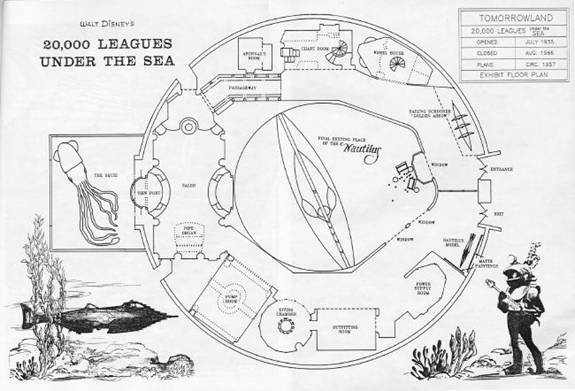 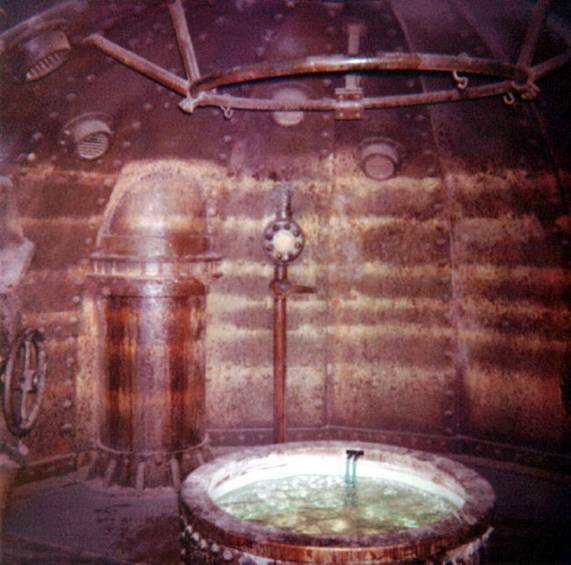 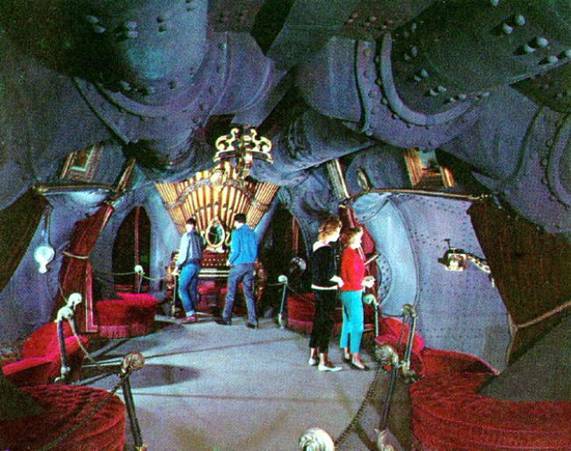 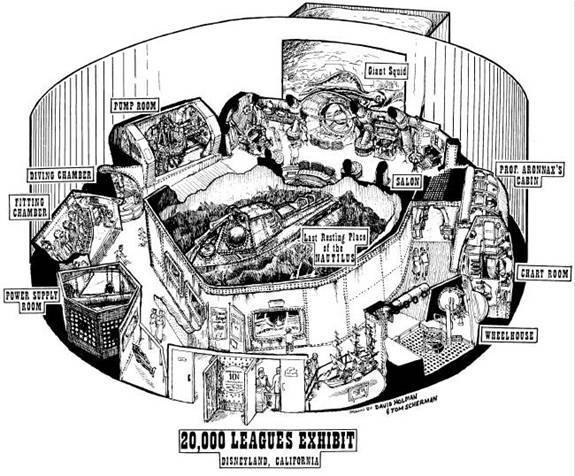 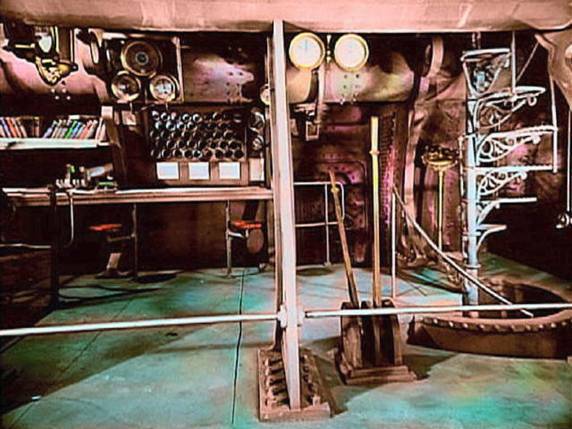 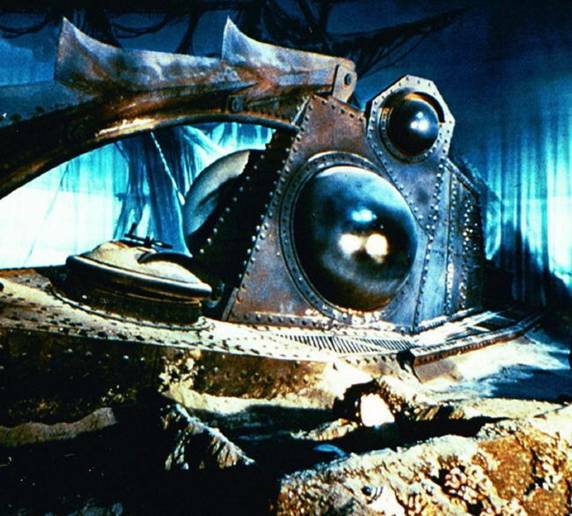 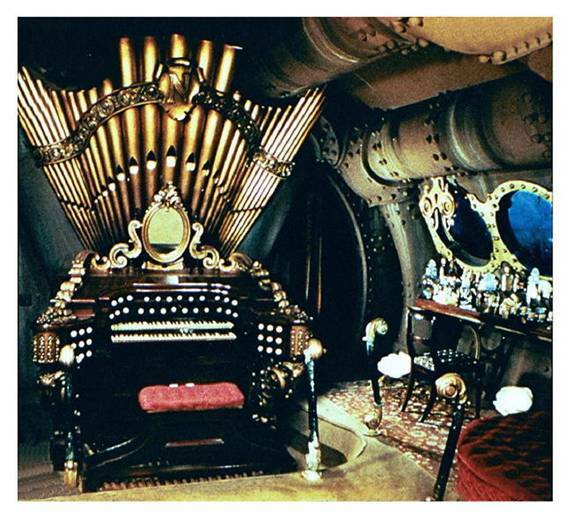 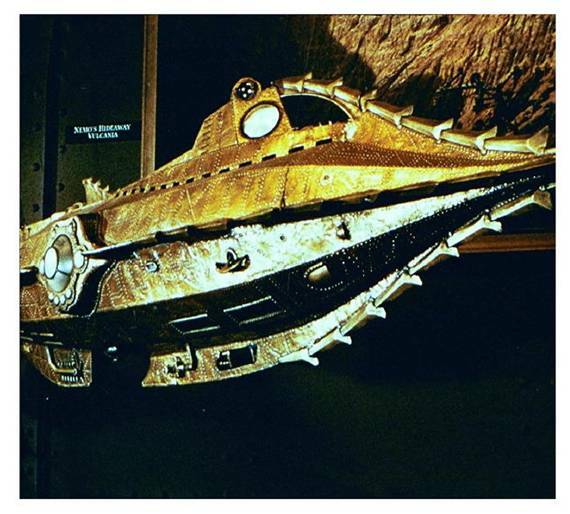 Here’s a look at the famous Disneyland attraction where visitors could walk amongst the actual sets used in the filming of 20,000 LEAGUES UNDER THE SEA. 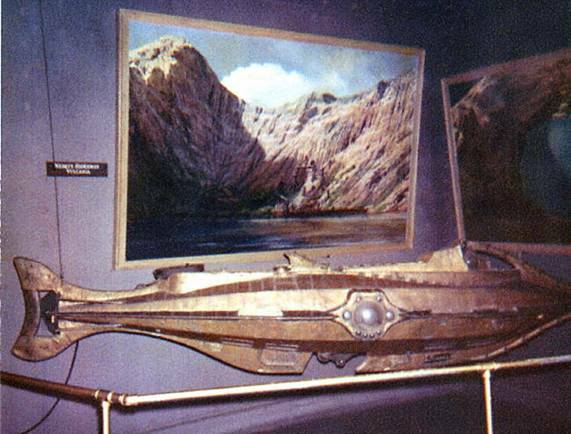 Model of the GOLDEN ARROW, seen as you enter the exhibit. 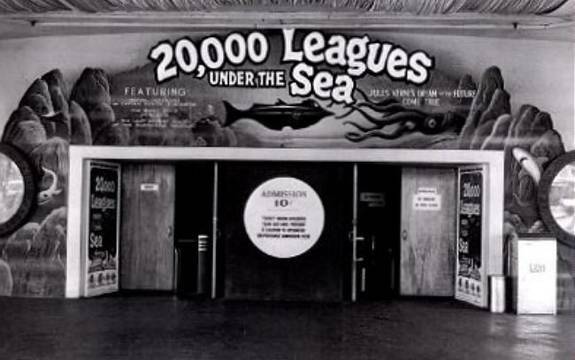 Spectators visit the Salon in 1958. 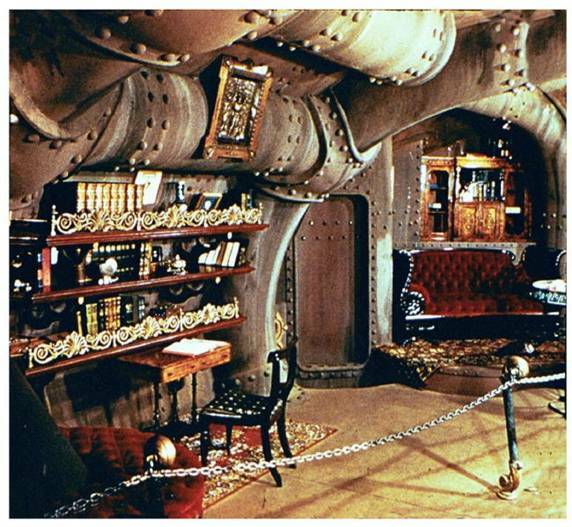 A view of the Salon. 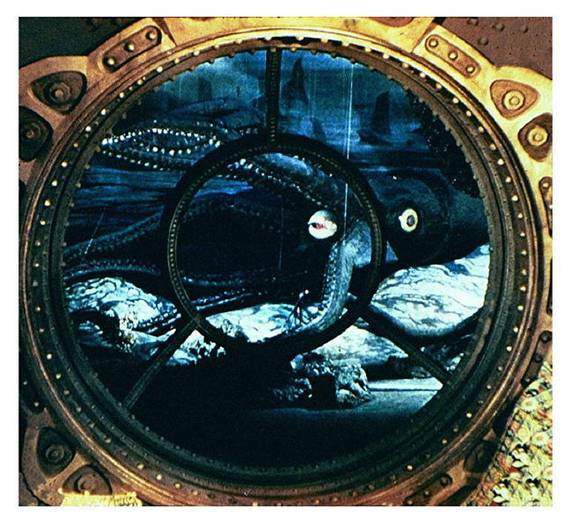 The giant squid as seen through the Salon Window. 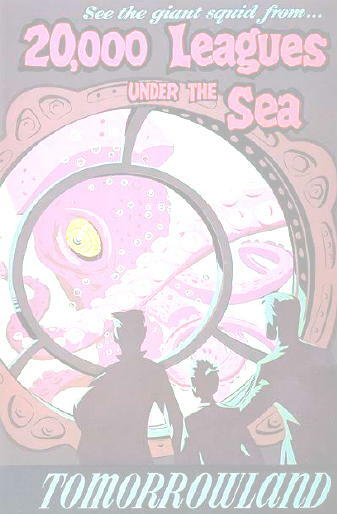 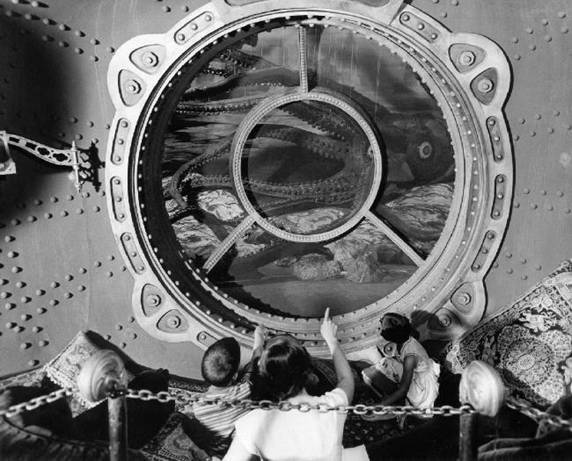 Spectators encounter the giant squid. 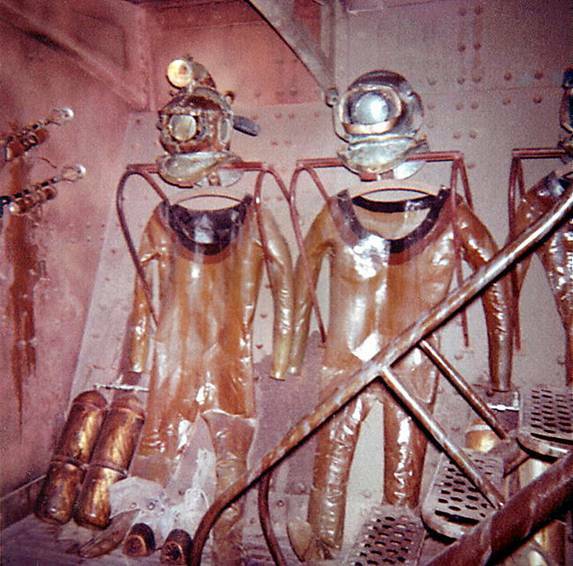 Close-up of suits and helmets in the equipment room display. 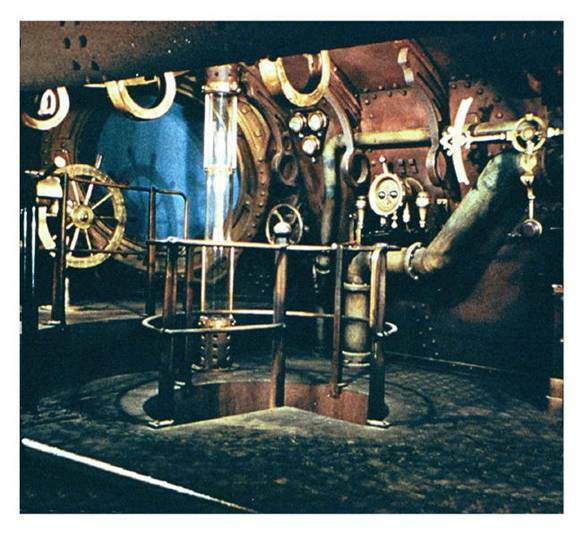 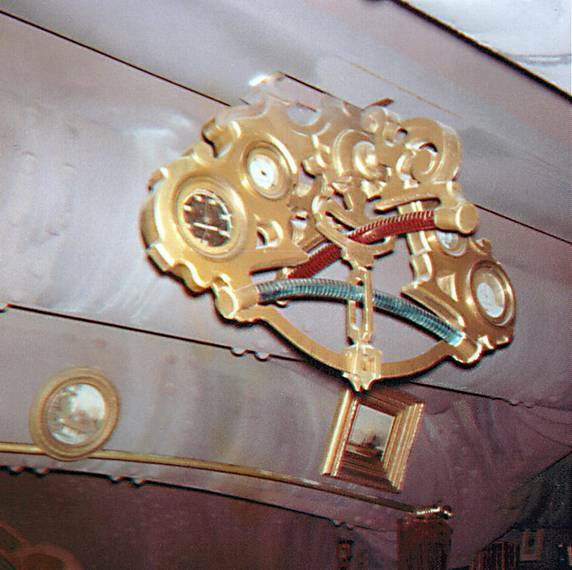 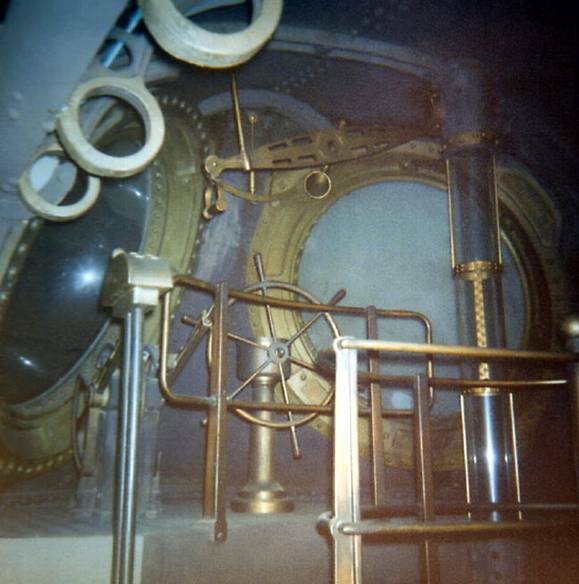 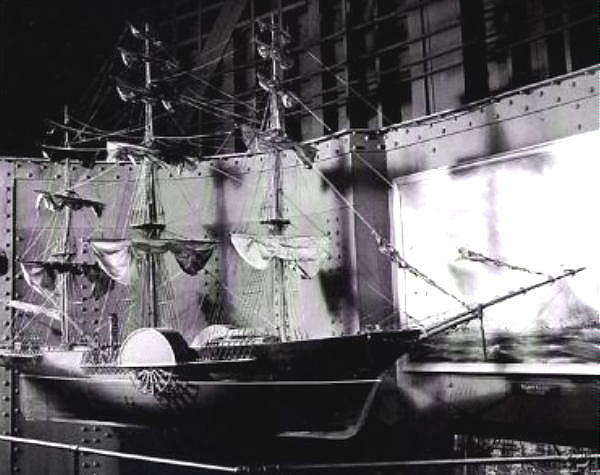 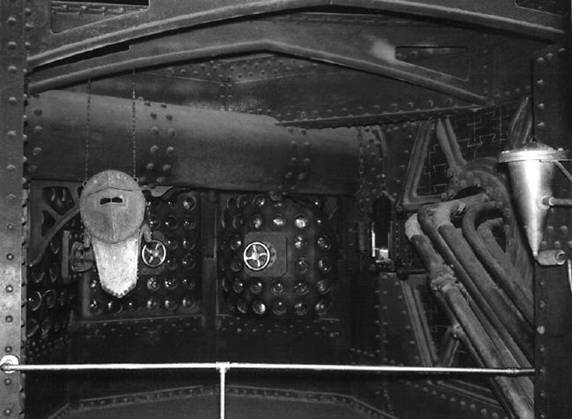 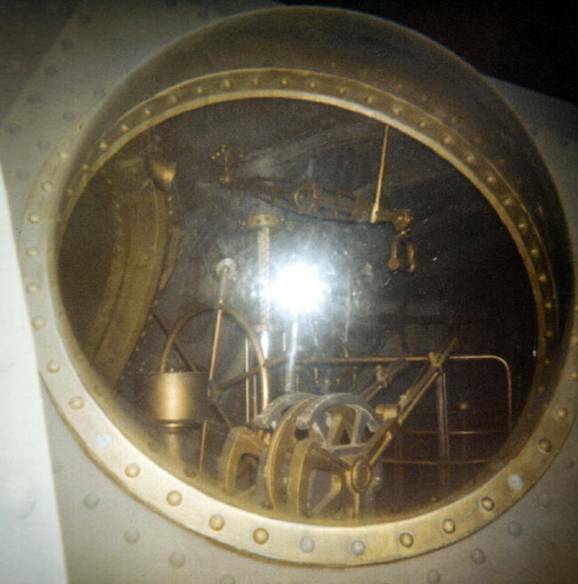 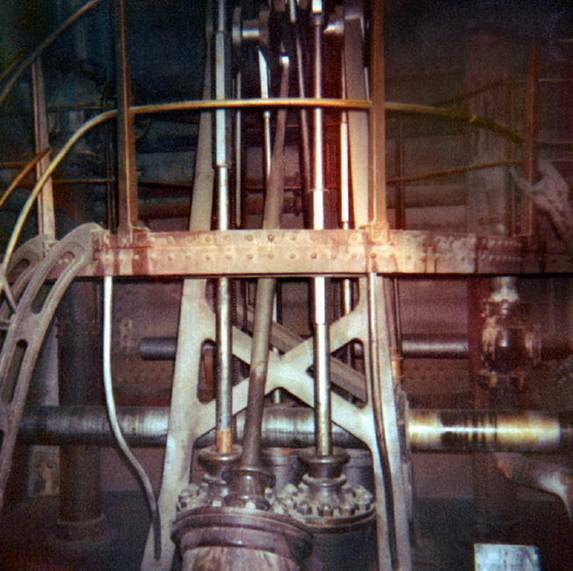 The 1:1 deck set wheelhouse in “The Last Resting Place of the Nautilus” display. 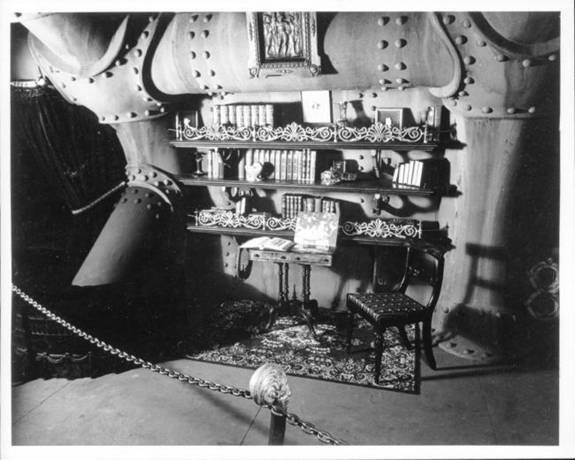 11- foot special effects model amid Ellenshaw’s paintings of Vulcania.